I've been trying out a few different pasta flavours lately. 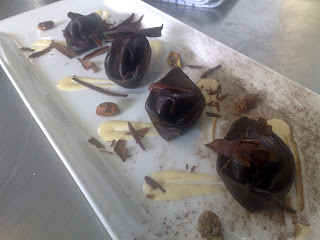 These are chocolate tortelli! An old favourite is back on the menu! 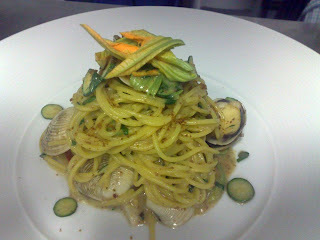 Spaghettini with vongole and bottarga. A sardinian classic. 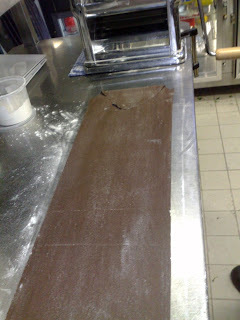 Rolling out chocolate pasta dough. 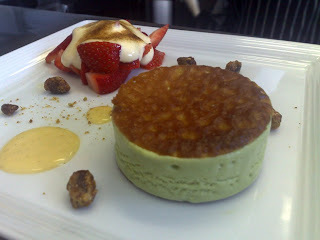 Pistachio semifreddo with brandy snaps, strawberries with zabaglione. 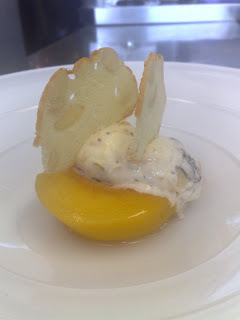 White and yellow peaches with basil seeds and ricotta, honey tuille. 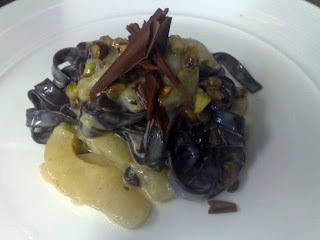 Chocolate fettucine, tossed with poached pears, anglaise and shavings of dark chocolate. 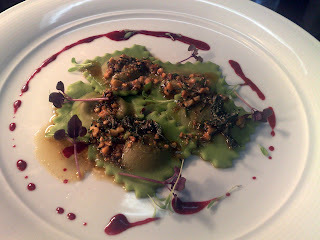 Spinach ravioli, filled with beetroot puree, goats cheese and thyme. Topped with burnt hazelnut butter and beetroot glaze. Getting better with more practice! 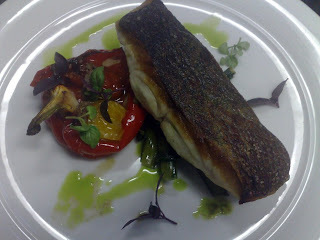 Roasted blue eye trevella, peppers done " piedmontese style" and basil oil. 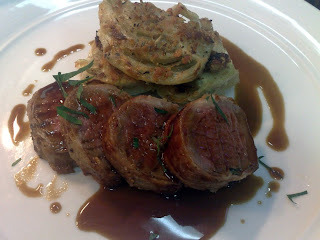 Rolled veal accompanied by baby fennel gratin and mirto jus. 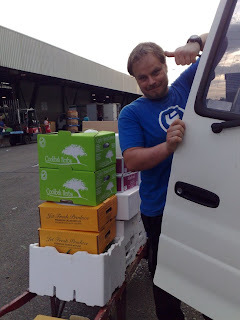 Josef, loading up the van at the markets. Our weekly trip. 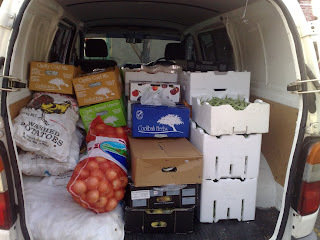 A full van of fresh ingredients to play with! 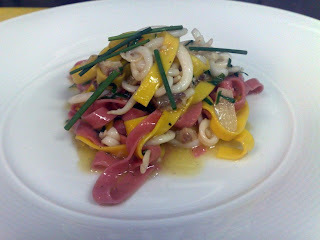 Saffron and beetroot fettucine, with squid, chives and smoked eel. 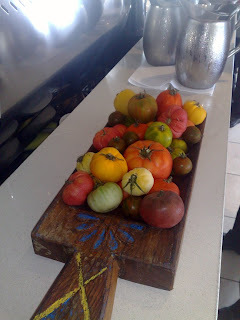 We've been lucky enough to get a good variety of tomatoes this summer, including; Kumato, black Russian, ox heart, green zebra, yellow grapes, love bites, just to name a few. 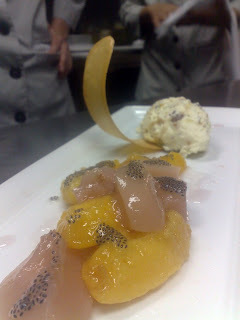 Poached white nectarine, almond biscuits and sweetened ricotta. 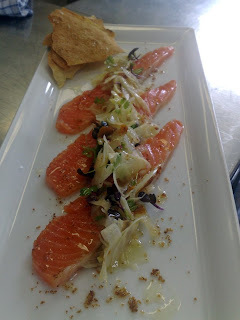 Sugar cured king salmon with baby herbs, fennel and bottarga. This is on our lunch special at the moment. Good to see you're keeping up with your blog. I work at an Italian restaurant in Chicago, and was formerly the chef a different Italian restaurant before the owners decided to close last fall. (I had my own blog...trattoriabelluno.blogspot.com). 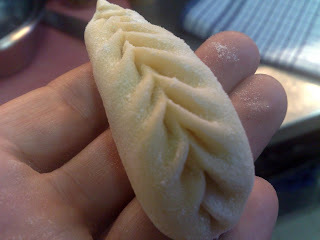 I found your blog when doing some random Italian food searches. Looks like you guys are doing some great stuff there. Keep it up! I look forward to more updates. Cheers for the comments, good to get some positive feedback every once in a while. I try to update as much as i can, but it seems to be after work and midnight is the only time i get around to doing it!